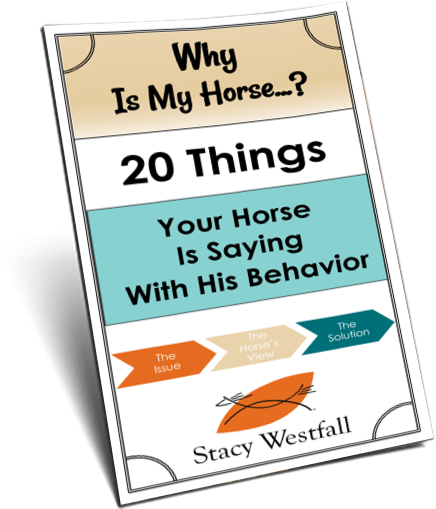 Do horses get dizzy when they are learning to spin? Teaching a horse to spin reminds me of a person learning to dance. There are many steps and stages that the horse moves through. The spin begins by improving steering in general and then gets gradually more refined. During the learning process the horse will make ‘mistakes’ which are really just the process of learning. If you watch a child learning to walk or a dancer learning to dance there are often uncoordinated moments, especially in the beginning. While learning to spin some horses get dizzy. For some this stage is so short that it is barely felt but for others it may take them a bit longer. They most often get dizzy as they get better at taking the steps and they begin gaining some speed. The key is to be aware that this stage exist and to try to prevent the horse from getting too dizzy. The difficulty is that this is the same stage where horses still need help to find their cadence and rhythm. 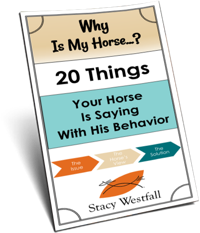 As a rider I am helping the horse find rhythm and cadence…but it is difficult to tell if the horse is loosing rhythm because they are needing some help or because they are getting dizzy. The video below shows a horse getting dizzy. Watch when we stop how you can see her sway to catch her balance. Now re-watch it and look at her ears as soon as I say whoa, they are pointed forward as she tries to focus. They quickly flick back as I feel her sway and move to steady her. This was the first time this filly got dizzy. We happened to be taping for another reason and caught this moment. Although I have still been spinning her I am more aware that she has entered this stage and I try to avoid getting her dizzy. This means that I stop more often when I feel her lose her rhythm…which can slow down the training if she is just losing rhythm because she is thinking about stopping. Still, I choose to stop early because I don’t want to repeatedly make her dizzy and it is possible for them to get dizzy enough to fall down. I find it interesting that all the horses I have ridden have eventually figure out how to not get dizzy. Once they are fully trained they can spin for long periods of time and will get physically tired without showing any signs of getting dizzy, even if they are spinning very fast. I can’t say the same thing for riders though, lol. ← 155th Anniversary of the Pony Express! Stacy….beautiful horse…… whats her name??…. is she yours? ?… future Reining Horse?? I have read that figure skaters need to practice spinning off the ice so that their bodies adjust to the spinning, and eventually they do not become dizzy from spinning. A dizzy skater could not very well complete a skating routine.